To pass the time between naps, I’ve been working on my Solstice cards. This is my one holiday indulgence—making my own cards and sending them out to about 70 people. Old friends, new friends, people I admire, people I love—the list changes every year, which makes it so much fun. Over the years of doing mixed-media artwork, I’ve found some incredible supplies. As I worked on my cards yesterday, I was struck grateful by two of them. Be Creative® Tape is acid-free, double-sided, heat-resistant and the strongest thing I’ve ever seen. Quietfire Design stocks several widths, but I’m particularly grateful for the 3mm (shown in the photo). This is the perfect size to adhere a single line of type. Since I love cutting captions out of magazines and using them in offensive and inappropriate ways, finding this size tape made being naughty so much easier. 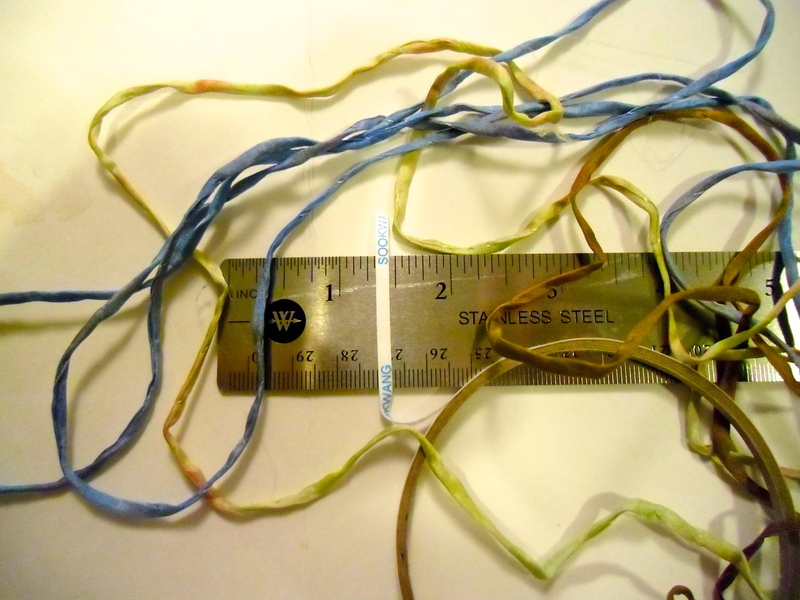 This 3mm size is also perfect for adhering ColorKissedSingles‘ hand-dyed silk cords. I’ve shown Old Pennies, Tutti-Frutti and Lost Island in the photo, but I must have at least three-dozen different cords. They are luscious, blended colors, some bright, some muted, perfect for layering with other fibers and ribbons. I love layers. And I love teeny things. So these dainty strings of color make my mouth water and spur my creativity. I found ColorKissedSingles on Etsy while setting up my own shop. Their stock changes all the time (as hand-made items are wont to do), so I’ve learned not to get too attached to a particular item. Woe was me when I couldn’t get the cord or silk ribbon I wanted for my cards! But I found substitutes easy enough. And Canadian-based Quietfire Designs is a full-range, mixed-media arts supply shop, so if I need something funkier than Archivers or Hobby Lobby, they’re my go-to supplier. So, while I’m oh-so grateful for the tape and cords, I’m even more thankful for Suzanne at Quietfire and Tammy and Dan at ColorKissedSingles—lovely people passionate about helping the rest of us do gorgeous work. If I just stop to think about it, I have so very much to be grateful for. Ha ha! I love the part about the size of tape making being naughtier so much easier!! I received my exquisite card in the mail yesterday. I will put it up here in my computer area (just like the one from last year) so that I can see it every day. I love that your message is so personal… your cards are a gift of your soul. I’m glad it’s a point of pleasure, Lori, thanks. 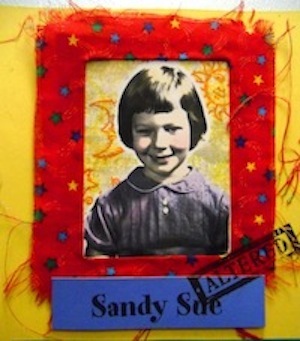 Aww, thanks so much Sandy! Keep on creating!